Pines Academy aims not only for students to hit their target band score but also to improve on their English skills within 3-4 months. Finishing the IELTS Module depends on the learner’s English ability and his/her learning progression in mastering the skills being targeted by the module. Thus, it is advisable for students to take Power EFL course first before enrolling in IELTS module for optimum learning. If only 1 student qualifies in a given Test Module, he/she is provided with 6 hours of 1 on 1 class only. If there are only 2 students in a group, 4 sessions of 1 on 1 class and 3 sessions of 2 on 1 class are given. 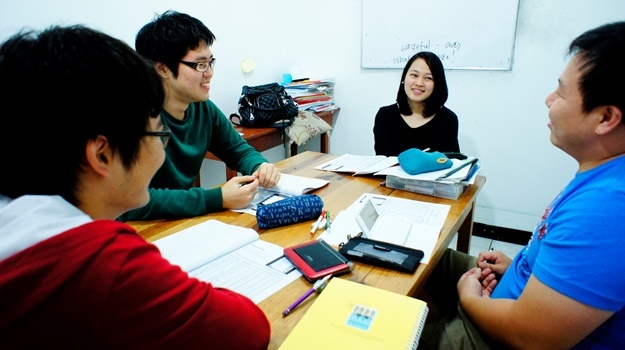 Beginners are highly recommended to take Pre-IELTS for 4 weeks before taking IELTS module. If a student joins a program after a school term starts, his/her class hours shall be reduced.